What Is Your Opinion On Canister Filters ? What is your opinion on canister filters (or any other type; UGFs are rarely used nowadays)? burr740, burr740, WaterLife and 1 others like this. Great at mechanical filtration. Bad at nitrification. Can be set up to be OK at denitrification (depending on the media used). Also, most good canisters are super pricey. They're a bad choice for anyone that has a lot of tanks, or anyone that has enough time to DIY an overflow and sump. I just don't understand why they are so expensive. Surely plastics must be getting cheaper with the oil prices so low. And most of them are just a plastic can with a pump inside, and a few plastic tubes. I advocate canisters for a reason which most, even fish lovers, find somewhat esoteric: noise...for the fish. I have long felt that providing a comfortable environment should be all encompassing. Water chem..check. Temp...check. Hardscape, hiding places, open spaces...check. Noise.........Noise? Yes, noise. Although I cant prove it scientifically, I have to imagine that living a entire life with that incessant DRONE of an impeller pump has to get annoying for them. Canisters are simply the most practical way of getting that "in-tank" noise as low as possible. Internal filters are the worst of course, followed very closely by any HOB. esteban, esteban, 2RDHEDZ and 3 others like this. Just buy knockoffs, work just as well. Canister filters are a great multi use filter system for fresh or saltwater. Eheim is my favorite with many of my old customers runnning the same canister for 30 years plus without a problem. Compare that success with the current crop of throw away models from other manufacturers. Love the Thermofilter and the built in heater system. I manufactured Trickle filter or Wet Dry filters for over 20 years and I bet not many are left around...but the Eheim canisters are still humming along. livingword26, livingword26, Pattern8 and 1 others like this. canisters are great and well worth the money, I am talking about basic models here. the fancy models with sensors and electronics are waste of money, too many components that will break. I would highly recommend eheim classic model to anyone. I like the ability to customize media right out of the box. As an added bonus, my wife can hear a bug burp at a hundred yards, so the quiet running is a great thing. J Art and J Art like this. 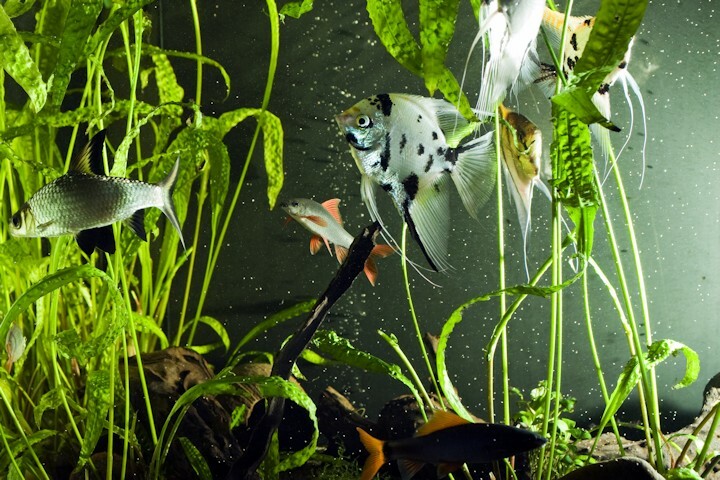 HOB filters have a problem in open top aquariums where evaporation is high. The varying water level will break siphon on them. Plus HOBs are generally too small to hold much media. I switched to a canister filter (Fluval 306) and haven't gone back, love how quiet it is, ease of changing the media compared to an internal filter or HOB filter.